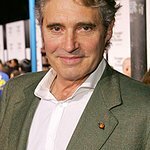 Noah Samara, board chairman of The Africa Society of the National Summit on Africa, today announced the appointment of veteran actor, Michael Nouri, as the Ambassador for the Washington-based organization and their “Teach Africa” program. “Teach Africa is an educational initiative for administrators, teachers and youth that addresses the response to the lack of Africa education in America’s classrooms and we’re honored to have Mr. Nouri as our new ambassador,” Mr. Samara said. Nouri is a film, television and stage actor who has starred in a series of films including, “Flashdance,” “The Terminal,” “Finding Forrester,” “The Proposal” and others and starred in recurring roles in the highly rated television series, “NCIS,” “Damages” and “The O.C.” Nouri will soon be seen in the feature film, “The List” for director Harris Goldberg" and has just signed with producer-actress Anne Archer and writer-director Terry Jastrow for their feature film, “The Squeeze” which will start production in September. Nouri has worked extensively with young people, fostering understanding and promoting exposure to those whose countries are in conflict. He has been involved in the Palestinian-Israeli Peace Camp and has been active in using film to influence cooperation and collaboration. “I took part in a Teach Africa program at UCLA several years ago,” Nouri said, “and it became clear how little Americans know about Africa. Can you imagine being ignorant about an entire continent with 55 countries and over a billion people? We have to know more, it is in our collective best interest. How can we expect the next generation of leaders to understand their counterparts in foreign lands if they know nothing about their countries, cultures or commonalities? We have a President whose father is from Kenya. My father came from Iraq. In the melting pot that is the United States, learning about one another is vitally important,” Nouri added. 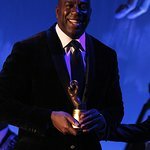 “I’m extremely humbled and pleased to be honored with this appointment by The Africa Society,” Nouri said, “because I believe in order to participate in the increasingly globalized world and overcome its immense challenges, today’s youth must receive exposure to and information about the varied cultures of the international community. Only then can we have a chance to coexist peacefully,” he said. The mission of The Africa Society is to be the premier entity that engages and educates Americans about the countries comprising the continent of Africa and to create, through partnerships, a better understanding of its peoples, diverse cultures, histories and economies. Its programs, some of which have been in collaboration the Department of State, the Library of Congress, universities and media entities, such as the Travel Channel, have had a global impact – reaching over 700 million people worldwide.